Accepting the award were (left to right) Daniel Berti, Kaytlin Nickens, Jeff South, Maryum Elnasseh and Georgia Geen. We accepted the honor on behalf of the rising generation of journalists whose work is so crucial to democracy. Five entries by VCU’s Capital News Service were honored in the Society of Professional Journalists’ 2018 Mark of Excellence competition for Region 2, SPJ officials announced. And Erin Edgerton was a finalist in General News Photography for her pictures of the March for Our Lives, in which Richmond-area high school students demonstrated for stricter gun control laws. The photos were published by CNS subscribers such as WTVR and also by The Commonwealth Times, VCU’s student newspaper. The awards were presented at SPJ’s Region 2 Spring Conference, held April 6 in Ocean City, Maryland. In the regional competition, VCU students compete against college journalists in Delaware, Maryland, North Carolina, Virginia and Washington, D.C. VCU is in the “large” division, going up against schools with more than 10,000 students. Student journalists could enter in the contest work published or broadcast during calendar year 2018. The regional winners will advance to the national Mark of Excellence contest. National winners will be announced at the Excellence in Journalism conference Sept. 5-7 in San Antonio. Overall, VCU students received 17 honors in the regional Mark of Excellence contest. Several of the winners were former or current CNS students. For example, Caitlin Barbieri, a recent journalism graduate who took CNS in 2018, won for Non-Fiction Magazine Article for her article “Virginia’s epidemic next door,” published by RVA Mag. And Zachary Joachim, also a member of the 2018 CNS staff, won for Sports Column Writing. Moreover, the staff of The Commonwealth Times won for Best All-Around Non-Daily Student Newspaper. The CT’s executive editor, Georgia Geen, and managing editor, Saffeya Ahmed, are CNS reporters in Spring 2019. Evie King was a finalist in the Hearst Journalism Awards’ Radio Competition. Her entry — a compilation of stories that aired on WCVE Public Radio — placed 11th in the nation in this highly competitive contest. 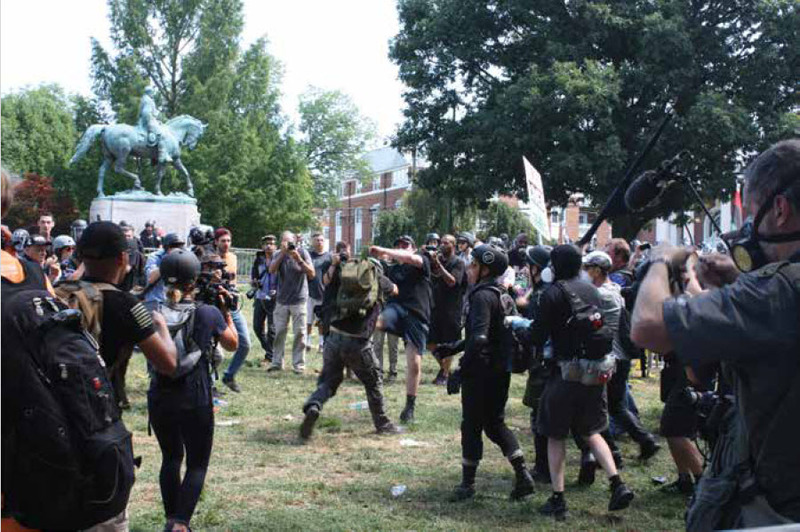 Jesse Adcock was honored as a finalist in the Hearst Journalism Awards’ Breaking News Competition for his coverage of the confrontation between white supremacists and counterdemonstrators in Charlottesville on Aug. 12. Jesse wrote the article on deadline in the style of New Journalism. The story placed 12th in the national contest. ¶ Feature Story Writing for “‘Get your history books. Those are the Nazis, I guess,’” his coverage of the riot triggered by white supremacists in Charlottesville. ¶ General News Photo for a picture Adcock took at the event. Competing against other non-daily publications in its circulation group, the CT won eight VPA awards, including five first-place honors. The awards, presented at the VPA’s annual conference on April 14, recognized work published during 2017. 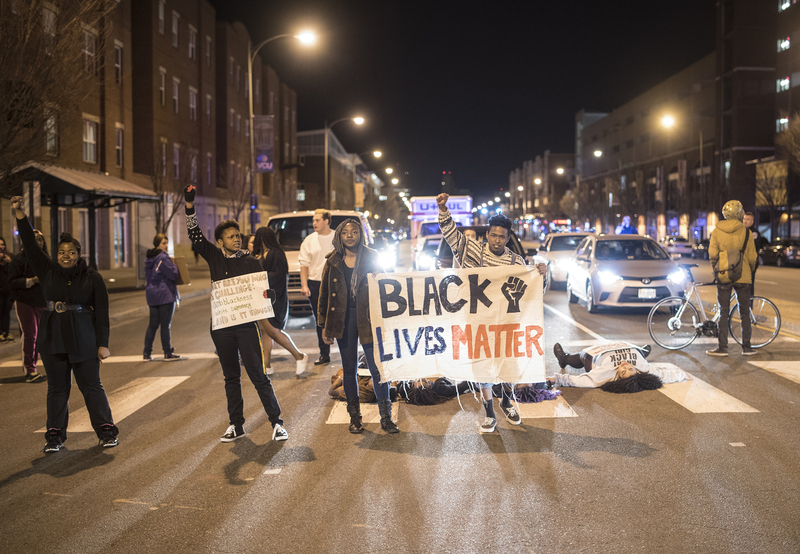 ¶ Megan Schiffres won the General News Photography category for a photo accompanying her story “Activists, lawmakers demand Attorney General Sessions resign,” published in the Commonwealth Times. ¶ Sean Boyce was a finalist in Online Sports Reporting for “VCU drops ball on student-athletes graduation rates,” published by Richmond2Day.com and other CNS clients. ¶ Caitlin Barbieri won for best Non-fiction Magazine Article for “African American struggle for freedom & civil rights commemorated in Brown’s Island monument,” published in RVA Mag. ¶ Zachary Joachim won the Sports Column Writing competition for his Press Box columns in the CT.
¶ Fadel Allassan was a finalist in General News Reporting for “VCU gave contact information of more than 30,000 students to a progressive political group,” published in the CT.
¶ Fadel Allassan also was a finalist in In-depth Reporting for “VCU ‘dreamers’ in limbo awaiting Trump DACA decision,” published in the CT.
¶ Erin Edgerton was a finalist in Sports Photography for “Rams ground Ospreys in shootout, can’t close Cavaliers,” published in the CT.
¶ Julie Rothey was a finalist in the Radio Feature category for “Fighting diabetes with outdoor adventure,” aired on WVCW, VCU’s student-run radio station. ¶ Sarah King was a finalist in the In-Depth Reporting category for her examination of Virginia’s opioid epidemic. “Foundation helps addicts recover as opioid deaths soar” was published in the Commonwealth Times and by other CNS subscribers. ¶ Diana DiGangi was a finalist in Feature Photography for her pictures of Tangier Island. They were published by WTKR, the CBS affiliate in Hampton Roads, and other CNS subscribers. 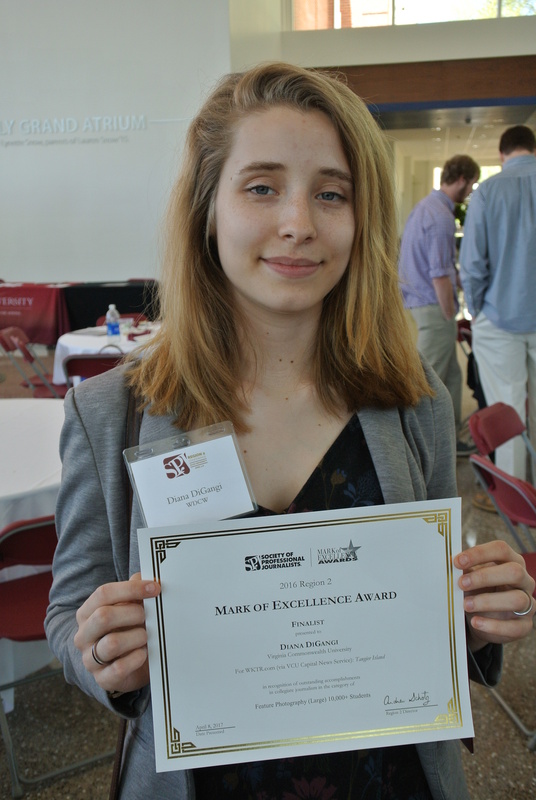 The awards were presented April 8 at SPJ’s Region 2 Spring Conference, held at Elon University. In the regional competition, VCU students compete against college journalists in Delaware, Maryland, North Carolina, Virginia and Washington, D.C. VCU is in the “large” division, going up against schools with more than 10,000 students. Student journalists could enter in the contest work published or broadcast during calendar year 2016. In all, VCU students won 14 awards, including two first-place honors, in the regional Mark of Excellence competition. Sarah King won third place for Public Safety Writing in the Virginia Press Association’s annual contest. Two of the three articles that made up her entry had been distributed by CNS: “Vigil for fallen trooper draws nationwide support” and “Court hears transgender student’s appeal to use restroom.” Those news stories were published by the Commonwealth Times and other CNS subscribers. Competing against other non-daily publications in its circulation group, the CT won 11 VPA awards, including six first-place honors. The awards, presented at the VPA’s annual conference on April 8 at Short Pump, recognized work published during 2016. 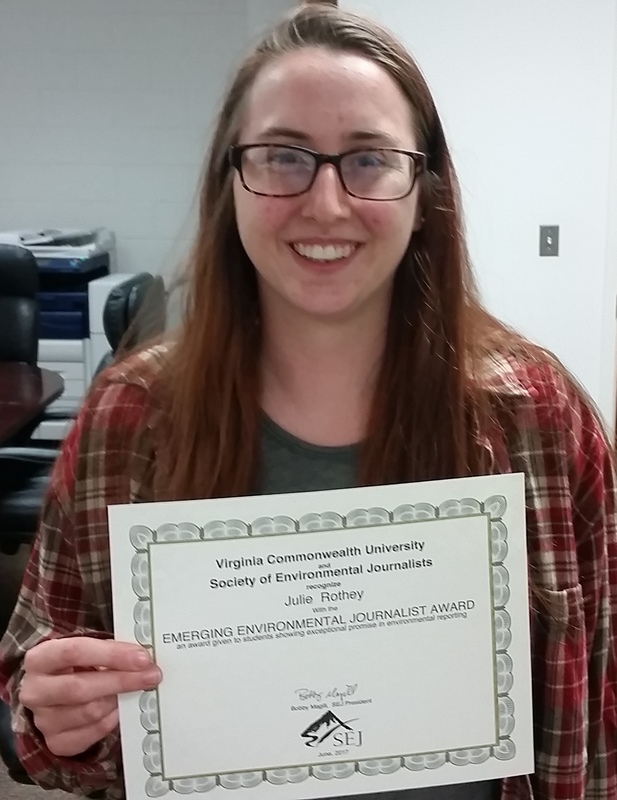 The Society of Environmental Journalists named Julie Rothey an “SEJ Emerging Journalist” in May 2017, largely on stories she produced for CNS. They included her coverage of coal ash ponds in Virginia and her analysis of Toxic Release Inventory data. Sarah King won a $1,000 scholarship for receiving fourth place in the breaking news competition of the Hearst Foundation’s Journalism Awards Program. 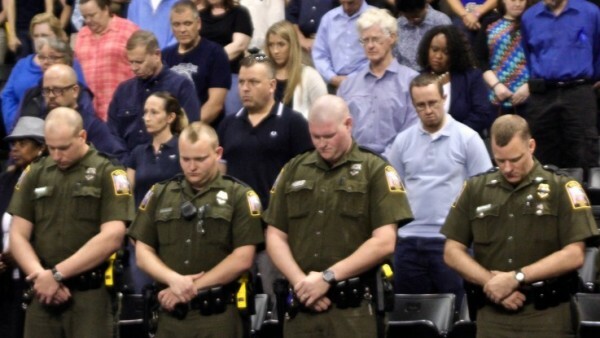 King’s entry was an April 1 story about a vigil honoring Virginia State Trooper Chad Dermyer, who had been fatally shot by a gunman at the Richmond Greyhound bus station. King, who is executive editor of the Commonwealth Times, VCU’s independent student newspaper, covered both the shooting and the vigil, filing stories as the news unfolded. The Hearst Journalism Awards competition is open to undergraduate students in the 108 programs across the United States accredited by the Accrediting Council for Education in Journalism and Mass Communications. The awards program consists of a series of contests during the school year for writing, photojournalism, broadcast news and multimedia. For the breaking news contest, the program received 90 entries from 55 schools. 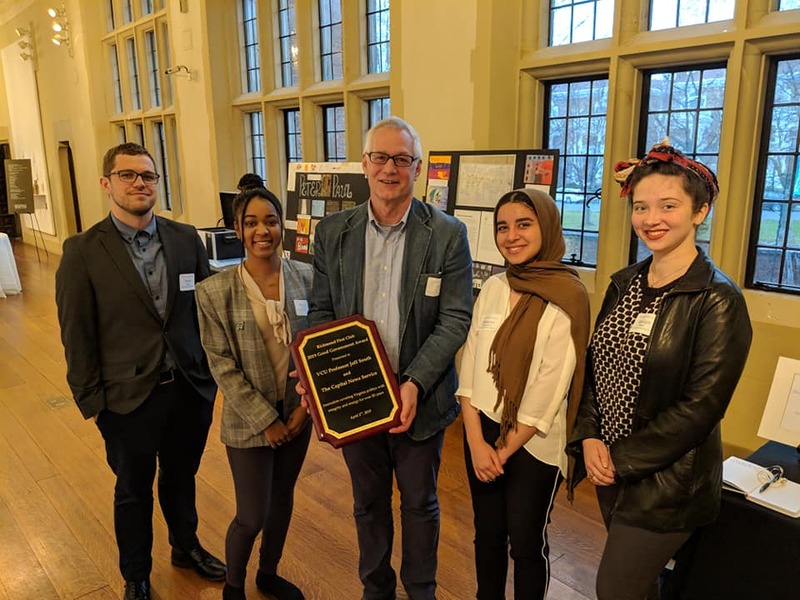 First place went to a senior from Oklahoma State University; students from Indiana University took second and third places; and a student from Elon University came in fifth. The top five finishers will receive scholarships from the Hearst Foundation. Sixth- through 10th-place winners, who will receive certificates of merit, were from the universities of Texas, Illinois and North Carolina, as well as from Penn State. ¶ Benjamin May, Sean C.W. Korsgaard, Janeal Downs and Michael Melkonian were finalists in the Breaking News Reporting category for their coverage of former Gov. Bob McDonnell being sentenced to prison for corruption. FauquierNow.com, as well as other news organizations, ran the CNS report. ¶ Downs and Cameron Vigliano were finalists in Online In-Depth Reporting for a series of stories on Native Americans in Virginia. The stories were published by RVA News, among other outlets. 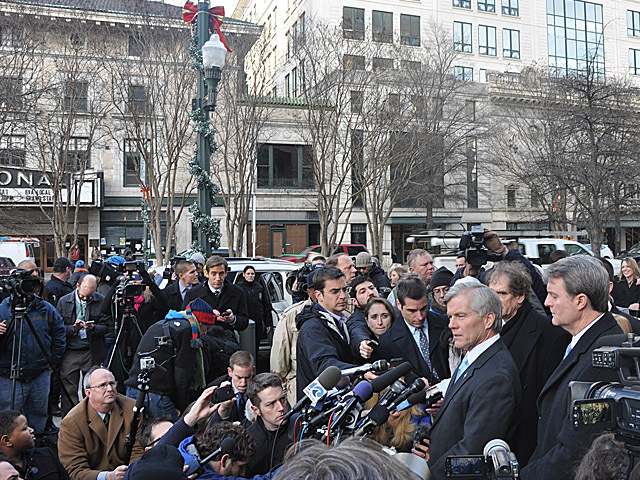 ¶ Melkonian was a finalist in Breaking News Photography for photos of McDonnell’s sentencing. ¶ Melkonian also was a finalist in Radio News Reporting for a CNS story titled “A-F School Evaluation System Undergoing Changes.” The story was aired by WCVE, Richmond’s NPR station. The awards were presented April 9 at SPJ’s Region 2 Spring Conference, held at the Hilton hotel at Short Pump. In the regional competition, VCU students compete against college journalists in Delaware, Maryland, North Carolina, Virginia and Washington, D.C. VCU is in the “large” division, going up against schools with more than 10,000 students. Student journalists could enter in the contest work published or broadcast during calendar year 2015. In all, VCU students won 14 awards, including four first-place honors, in the regional Mark of Excellence competition. Michael Melkonian’s photo of ex-Gov. Bob McDonnell. VCU’s student newspaper, the Commonwealth Times, won nine awards in this year’s Virginia Press Association contest — including first place for a photo taken by a journalist for the school’s Capital News Service. The awards recognize work published during 2015. The contest drew more than 3,400 entries from 122 VPA member newspapers. Zirpolo, a journalism major who graduated last May, took the photo the night of March 18, 2015, when VCU students held a march to protest police brutality and show their solidarity with Martese Johnson, a University of Virginia student who was severely injured during an arrest outside a pub in Charlottesville. Zirpolo also provided a text story and video report on the march. The awards were presented April 9, 2016, at the VPA’s annual conference. Two CNS entries won awards in the Society of Professional Journalists’ 2013 Mark of Excellence competition for Region 2. ¶ Blake Belden and Michael Schuster won first place in the General News Reporting (Newspapers) category for their article, “Virginia’s suicide rate highest in 13 years.” The report was published by several newspapers, including the Henrico Citizen and the Newport News Daily Press. ¶ Stephen Nielsen was a finalist in the General News Reporting category for his article, “Nuclear authority generates controversy.” It was published by several Virginia newspapers, such as the Rappahannock News, and distributed nationwide by the McClatchy News Service. In all, VCU students won three first-place awards and were finalists for 13 other awards. The awards were presented March 29, 2014, at SPJ’s Region 2 Spring Conference in Washington, D.C. In the regional competition, VCU students compete against college journalists in Delaware, Maryland, North Carolina, Virginia and Washington, D.C. VCU is in the “large” division, going up against schools with more than 10,000 students. Student journalists could enter in the contest work published or aired during calendar year 2013. Three CNS students won awards in the SPJ’s 2012 Mark of Excellence competition for Region 2. ¶ Zack Budryk won first place for General Column Writing for political analyses published by Style Weekly, Richmond’s alternative newsweekly. 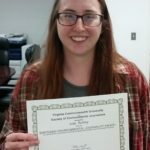 ¶ Leah Small won second place for Breaking News Reporting for the story “33 women’s rights protesters arrested at Capitol,” distributed by CNS and published by the Rappahannock News, Loudoun Times and other news outlets. 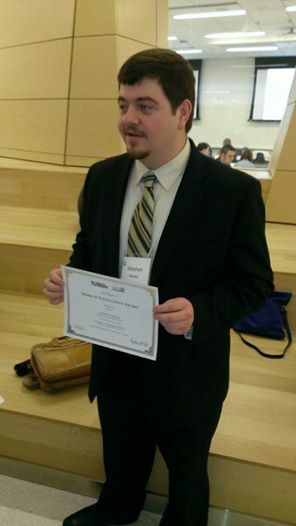 ¶ Amir Vera won third place for Radio News Reporting for his report “EpiPen Law May Save Kids with Allergies,” distributed by CNS and aired by WVCW, VCU’s student radio station. The awards were presented April 20, 2013, at the Region 2 SPJ Spring Conference in Norfolk. In the regional competition, VCU students are competing against college journalists in Delaware, Maryland, North Carolina, Virginia and Washington, D.C.
¶ VCU InSight, a public affairs TV news program that airs monthly on WCVW-TV Richmond PBS, was honored as Best All-Around Television Newscast. ¶ And Sean Collins-Smith and Brandon Shulleeta won first place for In-Depth Reporting for an investigative package they published as students in the School of Mass Communications’ Multimedia Journalism Master’s Program. The regional first-place winners then advanced to SPJ’s national competition. The package by Sean and Brandon was recognized as the National Winner for In-Depth Reporting, large school division – the first time a VCU entry had received that honor. SPJ will recognize first-place national winners at the Excellence in Journalism 2013 conference in Southern California, Aug. 24-26, 2013. Two CNS stories won awards in SPJ’s 2011 Mark of Excellence competition for Region 2. Alyx Duckett and Matt Birch, recent graduates of the VCU School of Mass Communications, won first place in the Online Sports Reporting category for a multimedia package they produced for CNS during the VCU basketball team’s run to the Final Four tournament. Birch also won third place in Online News Reporting for a report he wrote about Virginia’s crackdown on synthetic marijuana. 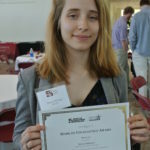 The awards were presented March 31, 2012, at the Region 2 SPJ Spring Conference at Elon University in North Carolina. In the regional competition, VCU students are competing against college journalists in Delaware, Maryland, North Carolina, Virginia and Washington, D.C. The regional first-place winners advance to the national round of judging. 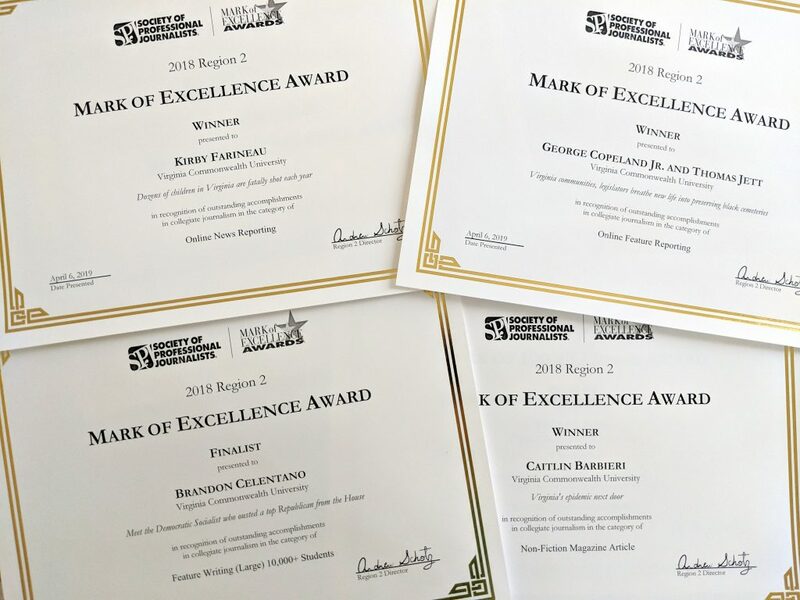 This year, the Mark of Excellence contest received more than 4,000 entries across SPJ’s 12 regions. Journalism major Ryan Murphy was among a dozen college journalists selected from across the United States to serve on the staff of The Working Press, which produced a daily newspaper for the 1,300 people attending the Excellence in Journalism 2012 conference. For a CNS story that received national attention, Kelsey Radcliffe won first place in breaking news reporting in the Society of Professional Journalists’ 2010 Mark of Excellence competition for Region 2. Radcliffe was honored April 9, 2011, during the Region 2 SPJ Spring Conference in Norfolk. First-place winners from SPJ’s 12 regions advanced to the national round of judging. Radcliffe’s winning entry ignited a national firestorm by reporting that state Delegate Bob Marshall had called disabled children a punishment from God to women who have aborted their first pregnancy. Marshall made the remarks at a Feb. 18, 2010, press conference urging the General Assembly to cut off funding for Planned Parenthood. Radcliffe was the only journalist at the press conference to pick up on the significance of Marshall’s comments. Her story was published the next day on the CNS website – along with an audio clip of the legislator’s remarks. By Feb. 21-22, several CNS clients carried the story, and then it was picked up by the national media, including the national TV networks and commentators Keith Olbermann and Rachel Maddow. Marshall issued a statement and gave a seven-minute speech on the floor of the Virginia House of Delegates criticizing the story, defending his comments and saying he had been quoted out of context. CNS maintained that Radcliffe’s report was solidly documented and showed Marshall had been quoted accurately. For the Mark of Excellence contest, CNS entered Radcliffe’s story as it appeared in The Gainesville Times in Prince William County. The Times is a weekly newspaper (and CNS subscriber) in Marshall’s House district. SPJ’s Region 2 includes colleges and universities throughout Virginia, Maryland, North Carolina, Delaware and the District of Columbia. Fletcher Babb, a copy editor for CNS during Spring 2010, was among a dozen college journalists from across the country selected to produce the daily newspaper that covered the 2010 national convention of the Society of Professional Journalists. Fletcher served as a copy editor for The Working Press when the convention was held Oct. 3-5, 2010, in Las Vegas. Tracy Kennedy’s video of ‘Distracted Delegates’ won first place in the Multimedia Competition of the Hearst Foundation’s Journalism Awards Program in May 2009. Tracy beat out 78 entrants from 47 undergraduate journalism programs at colleges and universities across the nation, the foundation said in announcing the awards. Tracy’s video has been featured on The Washington Post’s Virginia Politics blog and WTVR, Richmond’s CBS affiliate; Style Weekly gave it a +3 in the city’s zeitgeist. Some legislators say the video was unfair: that they were on a break when they were caught surfing the Web (Tracy says that’s not true, and the House minutes for Feb. 25 don’t indicate a recess). What’s your take? The video had been entered in the Television General News Reporting category. The winners were announced on March 29, 2010, at the Region 2 SPJ Spring Conference held at the University of Maryland in College Park, Md. Josephine Varnier, a 2009 CNS reporter, was among 10 college journalists from across the country selected to produce the daily newspaper that covered the 2009 national convention of the Society of Professional Journalists in Indianapolis. 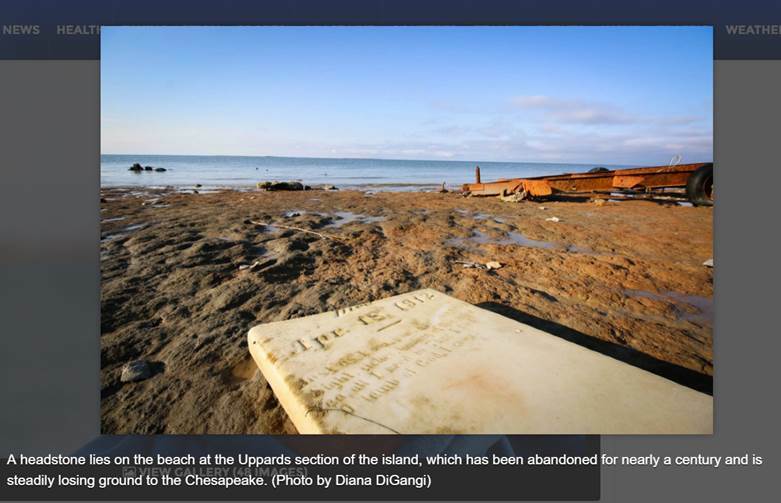 A story that Amy Biegelsen wrote for CNS in Spring 2005 won first place for general news writing among specialty publications in the Virginia Press Association‘s 2005 News, Editorial & Photo Contest. Amy’s story, “The Fire Inside,” was published on April 20, 2005, in the Richmond alternative newspaper, Style Weekly. It described a Richmond woman’s fight to obtain a state pardon for an arson-related crime to which she unwittingly pleaded guilty 16 years earlier. A story written by Maggie Souza and distributed via CNS received an award in the Society of Professional Journalists’ Region 2 Mark of Excellence competition on April 1, 2006, in Washington, D.C.
Souza’s story, “Donors hedge bets in VA gov’s race,” was published on Stateline.org on Dec. 28, 2005. It won third place for Online News Reporting in the Mark of Excellence competition. In the Region 2 contest, VCU competes with student media from throughout Virginia, Maryland, North Carolina, Delaware and the District of Columbia. Newspapers – Spot News Reporting: Second place — Kara Glascoe, for “Bloxom mulled for state ag secretary,” a CNS exclusive published in the Eastern Shore News on Dec. 4, 2004. Online – General News Reporting: Third place — Kara Glascoe, for “Music trail could help struggling Virginia towns,” a CNS story published on Stateline.org on March 1, 2004. Online General News: Second place — Robert Cunard and Sharon Ramos. For Virginia Rural Areas Slighted By Car Tax Relief. Online Feature Reporting: Second place — Robert Cunard. For Virginia Political Nugget – Specialized Plates.